See previous 74 interviews: Criminologist Nadine Connell on the data on school shootings, Teacher of the Year Nate Bowling on the push to arm educators, and more. The full archive is right here. Drama students at Marjory Stoneman Douglas High School were in the middle of rehearsal when the shooting began. With a “code red” blaring over the intercom, drama teacher Melody Herzfeld and her students sought shelter in a nearby storage closet. The February 2018 shooting in Parkland left 17 dead and prompted a nationwide movement to demand action. For students in Herzfeld’s drama class, it became a reason to perform. Song of Parkland, a new short documentary that debuts this Thursday on HBO, offers an inspiring glimpse into the lives of Herzfeld and her students as they coped with trauma to perform in a children’s musical two months after the shooting. 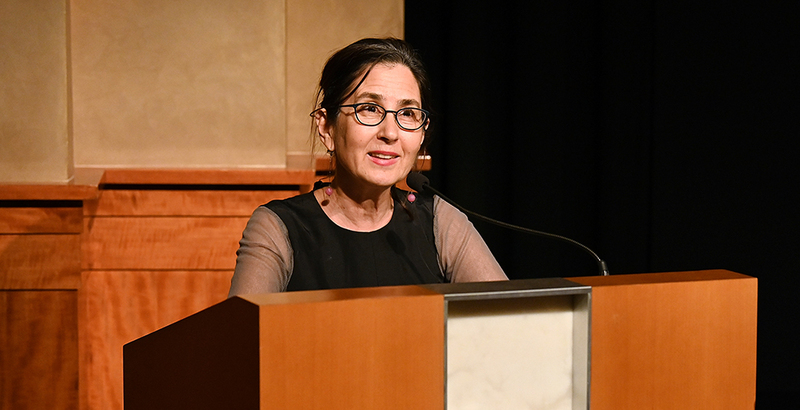 From rehearsals to opening night to a special performance at the Tony Awards, the film, directed and produced by Emmy winner Amy Schatz, offers a simple theme: the value of perseverance. 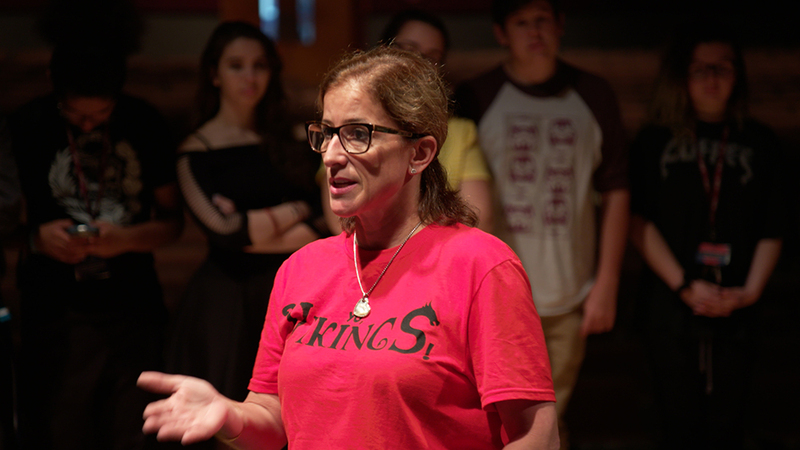 When the shooting unfolded, the drama students were rehearsing for their annual children’s musical, Yo, Vikings. The documentary explores the students’ drive to finish the production and, for some, the decision to join a national movement against gun violence. The film also takes viewers inside the Tony Awards on June 9 at Radio City Music Hall in New York City, where the students performed and Herzfeld was bestowed with the Excellence in Theatre Education Award. Schatz’s previous HBO projects, which are geared toward younger audiences, include The Number on Great-Grandpa’s Arm, An Apology to Elephants, and Goodnight Moon and Other Sleepytime Tales. 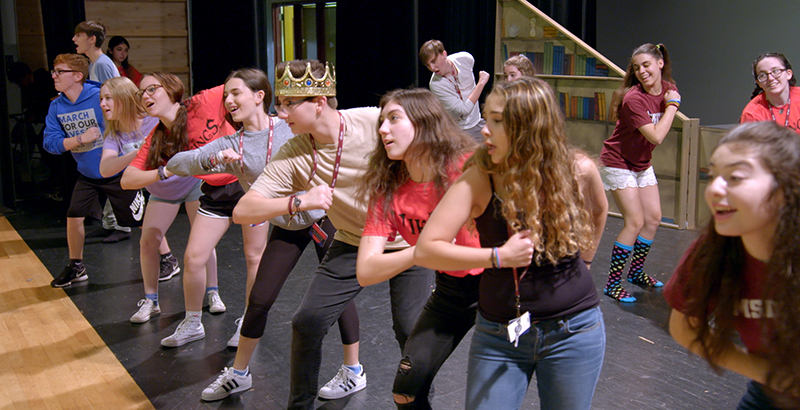 While Song of Parkland centers on the students’ resolve to follow through with the production, it also focuses on Herzfeld’s inspirational teaching style. The 74 recently spoke with Herzfeld and Schatz about Song of Parkland, which debuts on HBO at 7 p.m. ET on Thursday. The documentary will also be available on streaming platforms including HBO GO. The 74: Why did you choose to pursue this project, and to center your documentary on Melody and her students following the tragedy? Schatz: Like so much of the rest of the world, we were inspired and moved by the voices that we were hearing from students at Marjory Stoneman Douglas High School. We knew that kids across the country were listening and watching and marching and walking out of their schools. Since I make shows for kids, we wondered if there was a story that we might tell there, and a story that would be different from what we were hearing on the news — something about and for young people. I make films for HBO that feature kids speaking from the heart about life’s biggest subjects, like endangered animals, dreams, poetry, divorce, climate change, and so my thing is talking with kids, or rather listening to kids, and letting kids’ voices be heard. The 74: What message are you trying to convey, and what do you hope that your audience, in particular younger viewers, will take away? Schatz: One of the first things we did when we went down there is I interviewed Melody Herzfeld, and I was so struck by her and how seriously she took her responsibility to her students and to the production they were working on. In the end, I wanted to convey her incredible teaching and the importance of arts education in schools and for our young people. For me, it was a partnership with the students and with Melody, and my job was really to listen and to hear what they wanted to say. The takeaway really came from them. It’s their story, it’s Melody Herzfeld’s story. It’s about heroism, it’s about hope, it’s about horrible, terrible things that young people shouldn’t have to experience and nobody should have to experience. But it’s about finding a way forward. The 74: Melody, what do you hope viewers will take away from the documentary after they learn your story and the story of your students? Herzfeld: The one thing that made me say yes to meeting Amy was that she did films for children about children, and that message was very important to me. When I see our young kids telling their stories, I look at it from the perspective of children who are going to look up to them. As adults we can say, “Wow. We’re so in awe of these kids. We could never do this. I can’t believe how strong they were.” But when you have a child like an elementary school-age kid looking at what our students did, they can really aspire to that. They can look at them as heroes because the connectivity is so much closer. What I was hoping is that we could show that our kids are strong and resilient, and that’s what I really trusted in Amy because it was so soon after everything happened. I was very hesitant to bring anybody into our world. It happened to be that we were rehearsing for our children’s play, so it just all made sense to tell that story to the age group of who actually comes to see our shows. The 74: The name of that musical was Yo, Vikings. I’m curious about the theme of that musical and whether you saw any parallels between the story and how your students responded after the tragedy in Parkland? Herzfeld: There are so many messages to take away from that play and the music. This little girl has this idea that anything she learns about she wants to become. She wants to throw herself into it. It became so important to the kids to show that you can be resilient and you can overcome what people think about you and you can be different and you can be strong. That’s one of the most important messages in the play. It was based upon a children’s book [by Judith Byron Schachner], and it is a story about Emma and what she does and how she really overcomes feeling out of place and “Where do I belong?” and then feeling welcomed back in. It really was like coming home for us again. The 74: In the documentary, the students talked about how they felt like they had to perform. They owed it to themselves and to the community to get up on stage, the feeling of “The show must go on.” Were there any kids who felt they were unable to go onstage and perform after all that had happened? I think it was a very important thing to get back up on that horse, so to speak, and do what they do. The 74: I’m curious if you had that similar drive, that the show must go on. Or did you feel any hesitation? Herzfeld: You get strength from your students, and your students get strength from you. You get a sense of them as individuals, but you also get a sense of them as a family, as one unit. The unit was telling me, “We want to finish this, and we need you to do what you do best.” That’s my job, that’s my calling. That was my way to contribute to some of the healing that was going on at the school. But as a whole, we are changed. This is different. We are changed people, all of us, every single person in that school that day, the community, and everybody with different levels of trauma. And it’s not over by a long shot. The 74: While the film centers on the students and Parkland’s drama program, you also touch on youth nationwide who marched out of their schools following the shooting. What parallels exist between the students in the drama program and the national wave of youth activism? Schatz: The student activism that I was seeing in my world was everywhere. It was on every kid’s mind. They wondered, “Am I safe? Could this happen to my school? Could this happen to me?” The Parkland community was something we were all watching and the kids were all watching. I was struck and inspired by how outraged and how concerned and how powerful kids across the country felt, and how they felt that they had a voice. Inspired by the Parkland activists that were speaking out, they felt like, “Hey, I’m going to get into this too, and I have something to say about it. I have something to say about my future, and I have something to say about the world that I want to live in.” That was very powerful. We wanted to include that because, in some sense, that is what we were surrounded by. We don’t live in Parkland, but what we were seeing in our community was kids who were inspired to take action. The 74: Your film follows people who just experienced the most traumatic moment of their lives. How did this affect your outlook? What did you learn from the students’ voices? Melody had me meet with the kids and just talk about what we were doing. I actually wasn’t sure that we would come back because I felt that maybe this is just too intrusive. I wanted them to be proud of it. I also wanted them to be in charge of what this film could be. It all felt so raw and so when it got too close to talking about the attack, we would kind of back off. I wanted to get at the poetry, I wanted to get at the music, I wanted to get at how working on this production helped them to heal. We eventually worked through it and, I think, the fact that we had the cameras there focusing on their incredible talent was an extra support. The 74: I’m curious what kind of support having a camera there provided the Parkland students? Herzfeld: Someone was curious about who they were and curious about what they were experiencing. Prior to that, so many kids, they were not on camera with anybody. They didn’t take any interviews, they weren’t on any news, they weren’t invited to talk anywhere, they weren’t giving speeches anywhere. They were just regular students at the school who lived through something and were very, very lucky that day. I think it helped them, in a sense, to be able to express themselves, to know that people cared about them. The 74: Reflecting back on the series of events that unfolded — from the day of the tragedy to opening night of the musical to the Tony Awards — what memories do you think will most stick with you? 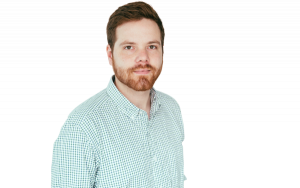 Herzfeld: I think the one most important memory is them completing the show Yo, Vikings. They finished it. They were actually able to finish something that they started in the midst of this craziness. Another very special memory was when they were singing on the stage in Radio City Music Hall and the lights came up and they looked like they were larger than life to me. I had watched those kids sing a million times, and it was like I was watching it for the first time all over again.